Dating in LA can be daunting, and while we’ve given you plenty of can’t-miss date ideas in the past, sometimes you need a little more than just a general suggestion -- sometimes, you need the whole damn thing planned out for you. Since we love a challenge, we’ve put together a batch of unique date itineraries catered toward whoever you might be going out with, whether they’re diehard animal lovers, culture-hungry art critics, or bronzed lovers of the outdoors. Of course, there’s always a chance that your date’s not defined by one singular characteristic, in which case you can mix-and-match these dates however you see fit... but really, what are the odds of that? 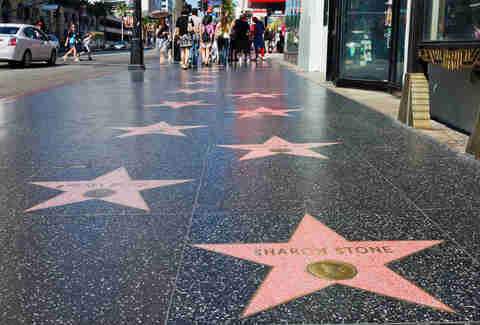 Start your day by playing tourist and taking a stroll on the Hollywood Walk of Fame to spot your favorite stars on the famed sidewalk. Afterward, swing by The Musso & Frank Grill -- open since 1919, it’s one of the oldest continually operated restaurants in LA, and packed with plenty of cinema history. Sink into one of the classic red booths where Old Hollywood legends like Charlie Chaplin, Marilyn Monroe, and Elizabeth Taylor used to rub elbows over a plate of roast duck and lamb chops. Then, catch a screening of classic flicks like Ghostbusters or Night of the Living Dead playing at Hollywood Forever Cemetery or one of the exclusive movie palaces in Downtown LA as part of the Cinespia movie series -- because, uh, nothing says romance more than watching a movie surrounded by tombstones. Don’t forget to bring a picnic, blanket, and BYOB to the cemetery screenings (on-site food’s available at the movie palace shows) and arrive early to catch the pre-show DJ spinning as the sun sets, so you can capture those obligatory LA Insta shots under the stars. If you didn’t post it to Instagram, did the date even really happen? Since Cuba may not be in your future travel plans anymore (thanks Trump! ), bring your best dance moves to El Floridita in Hollywood for a little taste of Havana. This Cuban restaurant tucked away in a strip mall has been breeding some of the best salsa bands and dancers for the last 30 years; enjoy the famous salsa nights on Mondays, with a complimentary salsa lesson at 8pm and a live band that goes on at 9:30pm. Swing by early to dine before you shake your hips, or skip dinner and pay the $15 cover. 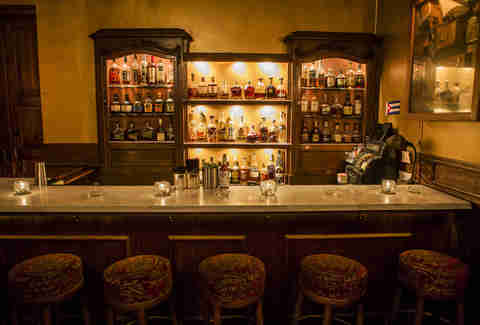 If you get the itch to change locations, take your moves to Cuban-themed speakeasy La Descarga, where scantily-clad burlesque dancers play with fire while showing off their jaw-dropping move -- just make sure you’re dressed to impress before you show up. There’s usually a live band playing Latin music so you can put your new salsa moves to the test, but not before you’ve had one of the delicious rum cocktails here. Alternatively, if your date’s idea of dancing is more like fist pumping at a club to the sound of EDM, then the Exchange LA nightclub downtown is the place to be; with a lineup of big name DJs like Cedric Gervais and Erick Morillo on weekends, you’ll be moving to some crazy strobe lights and dancing until the wee hours of the night. Why not make it a double date with your canines at Laurel Canyon Dog Park? Nestled in the hills of Studio City, this 3-acre off-leash park is the perfect place to let your four-legged friends run loose and sniff each other out, while you and your date do the same. After a day in the park, if your date is Fido-approved, drive to the Valley (gasp!) to Malibu Wine Safari for an afternoon safari ride. For $65 a person (or $55 for the Family Tour, if you don’t mind riding with kids), you can take a 90-minute tour of Saddlerock Ranch & Vineyard where you’ll get the chance to feed exotic animals while tasting six different wines. Finish the day off with a hot beverage and some cuddle time with felines at Crumbs & Whiskers, a cat cafe on Melrose Avenue; make a reservation in advance, and you and your date can spend some quality time with sheltered cats that are up for adoption. On the second Thursday of each month, the Historic Core of Downtown Los Angeles transforms into one big artsy affair where galleries stay open later, artists paint and sell their work, and thousands of Angelenos flock to the streets to partake in the Downtown LA Art Walk. You’d be wise to take an Uber since parking in Downtown LA is a b*tch, so get dropped off somewhere between 4th and Spring and walk around towards 9th. Definitely hit up The Last Bookstore and get lost in aisles of dusty tomes no one’s ever heard of, then arrive at Bar Ama for the 9:30pm reservation you made (don’t even think of walking in without one) and enjoy some Tex Mex goodness like shrimp chipotle fajitas and short rib chalupas. 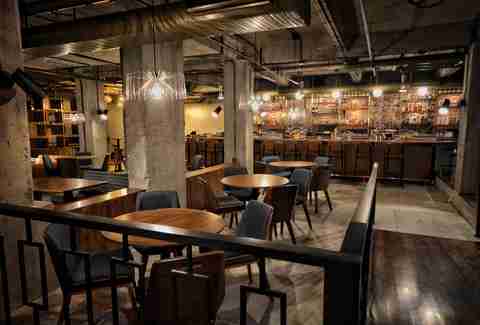 If you’ve made it this far and concluded your date isn’t a bust, then walk two blocks to Birds & Bees, a 1950s-inspired cocktail bar hidden in the basement of a downtown office, and tell your date they’re the bee’s knees over a fancy craft cocktail -- or better yet, use some other, even wittier line. You’ll think of something. Sundays in LA were practically meant for hiking, and what’s sexier than breaking a sweat with someone you’ve already seen half naked on their Bumble profile? Start your morning off right with a 2.5-mile hike at Corral Canyon just off of PCH, which offers spectacular ocean and mountain views, then head over to the Malibu Country Mart for a midday snack like a chocolate protein shake from SunLife Organics. After you’re done wandering around the mart and gawking at the overly priced boutiques in Malibu, pick up a few sandwiches from John’s Garden and head to Broad Beach, which is basically Zuma Beach minus half the people (read: you can actually see sand). You’ll probably be hungry again after a few hours of basking in the California sun, so freshen up and head to Nobu for the perfect Sunday sushi nightcap. Museums are a great date idea, since they’re solid conversation starters and (more importantly) pretty damn cheap to boot. 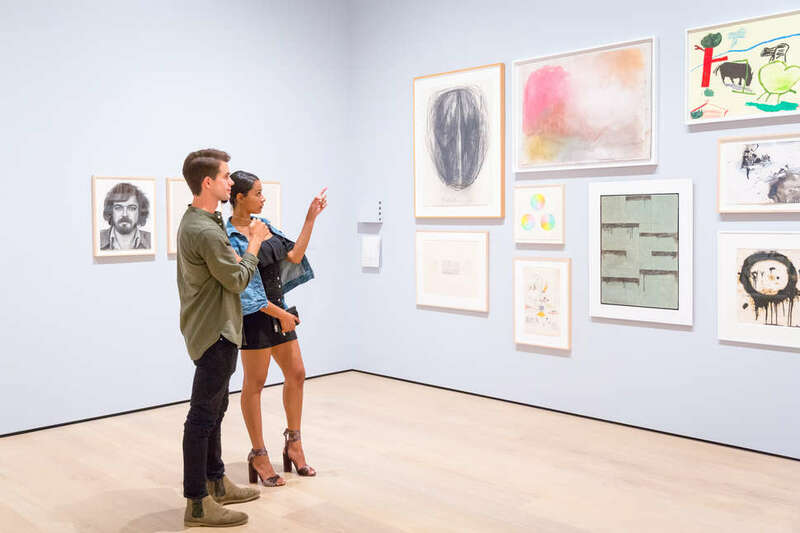 While there are a ton of options in LA to choose from, The Hammer Museum is a strong choice for a first date; it’s free, it has a pingpong table, and it’s not as crowded as other museums in the city. There are a number of special programs, talks, and films on offer year-round, in addition to the ongoing and sometimes controversial exhibits. 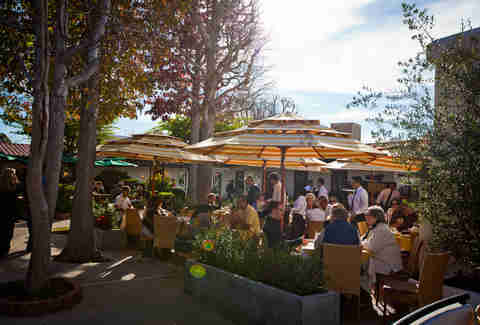 Get cultured, and then grab a bite at the cozy (and not-so-easy-to-find) Fundamental LA that uses LA’s finest farmers market ingredients to craft their menu and whatever you do, don’t forget to order their chewy and gooey chocolate chip cookies! 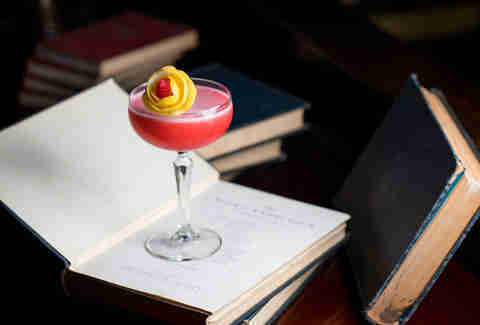 If you’re still enjoying the date, migrate over to The Wellesbourne in Westwood for craft cocktails in a book-filled bar that looks like the board game Clue came to life. 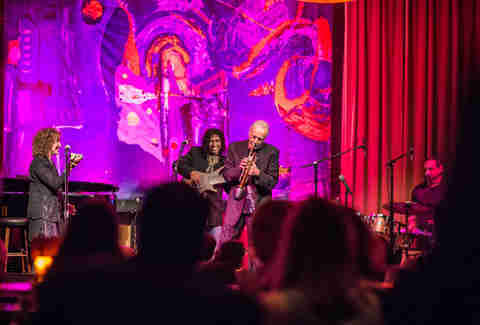 Tucked away in the Glen Centre off of Beverly Glen, Vibrato Grill is a contemporary jazz bar founded by the legendary musician Herb Alpert, and it’s perfect to set the mood on date night. The talent pool includes everyone from soulful Latin bands to Vegas headliner and vocalist Jennifer Keith, and everything in between. 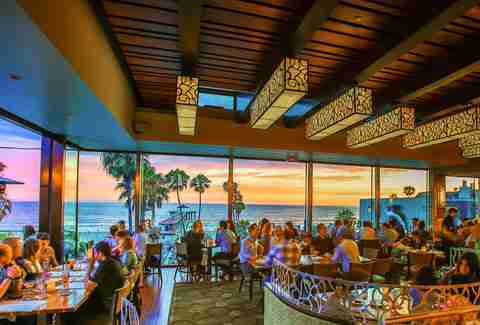 Start the evening off with a drink at the bar, and then enjoy a meal during the show at the dinner-theater-style venue serving California fare. If you prefer to have dinner on a rooftop with spectacular city views overlooking Pershing Square, make your way to Perch in Downtown. The French-inspired restaurant and bar offers live jazz music nightly from 7-10pm followed by a DJ, so you can get cozy on a couch, throw back a few oysters and sip on champagne while you pretend to be Parisian lovebirds for a night. Take a stroll around Venice’s manmade canals (who needs Italy?) and live vicariously through the owners of the modern and quirky waterfront homes and their canoes parked in front. Afterward, you can rent bikes at the nearby Spokes N Stuff and do the 10-mile bike ride on The Strand all the way to Manhattan Beach -- yes, 10 miles sounds intense, but it’s a flat, straight shot. Park your bike at the Manhattan Beach Pier and cool off with a cocktail at The Strand House as you catch a front row seat to the killer cotton candy sunset, then make your way back to Venice and check off “Perfect LA Day” from your summer bucket list. 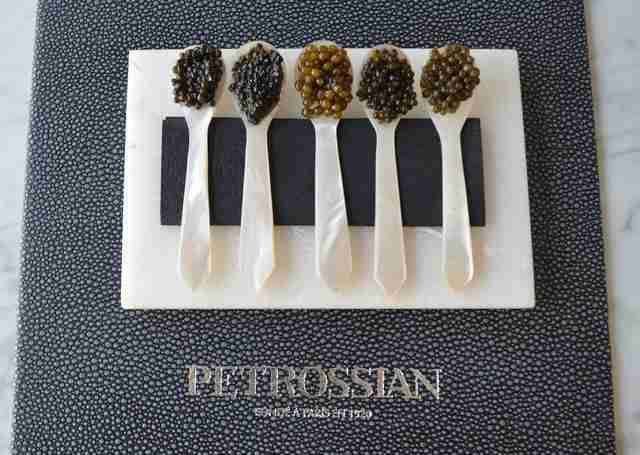 Nothing screams elegance and sophistication quite like caviar, so if it’s a fancy night out you’re after, look no further than the Petrossian West Hollywood Caviar 301 tasting. On the third Thursday of every month, the popular Parisian restaurant offers an intimate and enlightening tasting that begins with a sampling of more than eight different caviars, followed by a decadent four-course French-inspired meal paired with two drinks for $125/person. Continue your high-end rendezvous on the rooftop of the stunning new Waldorf Astoria Beverly Hills, and grab a seat in one of the ample lounge seats offering spectacular views of the city at night. There’s nothing wrong with a little friendly competition on a date. 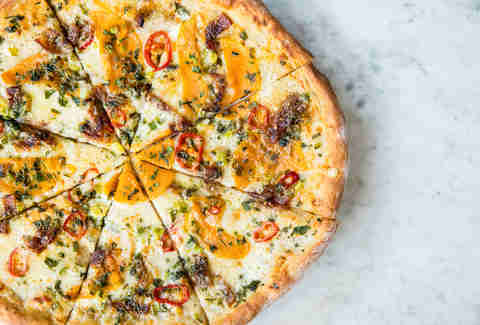 Start the night off by pre-gaming at Stella Barra, the artisanal pizza joint on Main Street, and enjoy a glass of wine or a cocktail over a salumi and burrata pizza. Then, make your way around the corner to Bowlmor Santa Monica for a night of bowling, billiards, and (more) booze. The 24-lane bowling alley offers lane-side service, so you can order greasy bar snacks and watered-down drinks while knocking down strikes and catching your favorite flicks on the big screens. Leila would love to write a book one day and share all of those is-this-really-happening date stories. If you ever need some comic relief and care to exchange war stories, grab your popcorn and hit her up on Instagram and Twitter at LeilasList.